There's nothing quite like the taste of an apple straight from the orchard (or even picked right off of the tree! ), greens pulled from the garden, or sweet potatoes fresh from the farm. Produce is usually of better quality and taste when in season, so knowing what is at its peak during the month of October will guide you when making your shopping list and planning meals. Luckily, this fall month brings forth quite a variety of fruits and vegetables to savor. 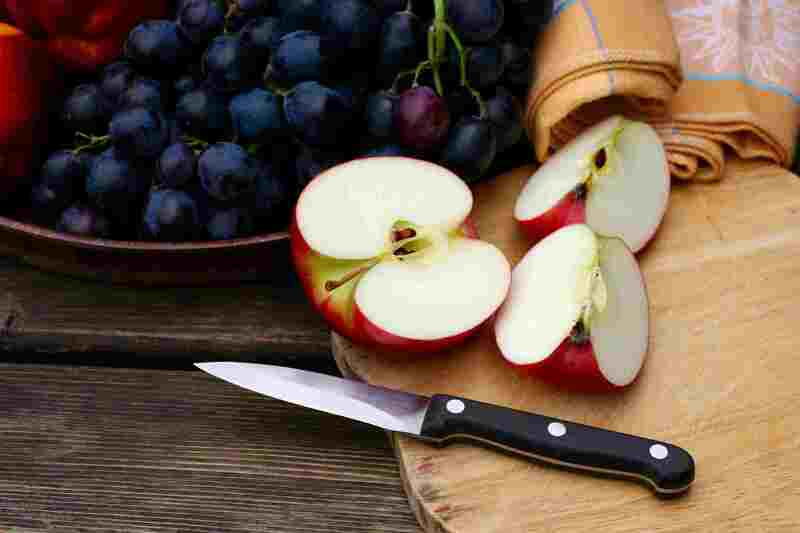 Whether you are biting into a crisp, juicy apple as a snack, chopping it up to incorporate in a salad, or gently cooking with cinnamon and sugar to fill a pie, apples that have recently been harvested are going to taste the best and improve your recipes. There are at least two dozen varieties at their peak in October, including Crispin, Braeburn, Granny Smith, Macoun, and Fuji, just to name a few. Once you bring home your bushel, add to a salad with blue cheese and walnuts or try out an amazing apple crisp pie. Browse more of our favorite apple recipes. Unfortunately, beets developed a bad rap because for many years, they were mainly served straight from the can or as the Eastern European soup, borscht. They were cold, stiff, and sweet—not the most appealing side dish. Thankfully, cooks realized this very nutritious root vegetable can be prepared in many other ways such as roasting, which caramelizes the beet's natural sweetness, adding a little bit of nuttiness. The exterior develops a crispy texture while the inside turns soft and tender. You can even grill sliced beets that have been marinated in a balsamic dressing—an unexpected but delicious side dish or filling for a vegetarian burger. Harvested August to mid-October, this shiny, dark purple, almost blackberry becomes sweeter and less tart the longer it stays on the bush. So if you avoid eating blackberries because they are too tangy, wait until October to enjoy. High in vitamin C, these berries are more versatile than you might think. Not only ideal in a cobbler with apples, but blackberries also make a wonderful sauce for beef, pork, and chicken when combined with wine and cooked down until thickened. We are so used to seeing broccoli year-round in the grocery store that we probably don't think about when its peak season is. But broccoli is a cold-weather crop (even though it is planted in the spring as well) and tastes best when harvested in the fall. October broccoli heads will be large and plentiful, compared to the smaller bunches during the warm months. If you are only familiar with steamed broccoli, you'll be happy to know there are a plethora of interesting recipes including this vegetable, from pasta dishes to curry to pancakes (yes, pancakes!). And once you've roasted broccoli, you may never boil or steam it again—whether tinged with ginger or chilies and lemon, oven-roasted broccoli will become a family favorite. Now, this is a vegetable that has seen a rebirth! Going from smelly, soggy, and strange looking to often the star of the show, Brussels sprouts are seen on menus in even the most high-end restaurants. Roasted with bacon, caramelized with garlic, shaved into a salad—the recipes run the gamut and are sure to turn haters" into fans. Brussels sprouts are best in October, and if you can, purchase them on the stalk as these will be the freshest. Another cruciferous vegetable seen year-round in the supermarket, cabbage is best during the month of October. Look for heavy heads that are compact with no browning or wilting leaves. Not just for stuffed cabbage and coleslaw, cabbage can be roasted and sauteed for a somewhat nutty side dish with deep flavor. Surprise your kids with a cheesy cabbage gratin or fried cabbage with bacon. Or turn up taco night or a simple grilled sandwich with the addition of a crispy slaw. Browse more favorite cabbage recipes here. 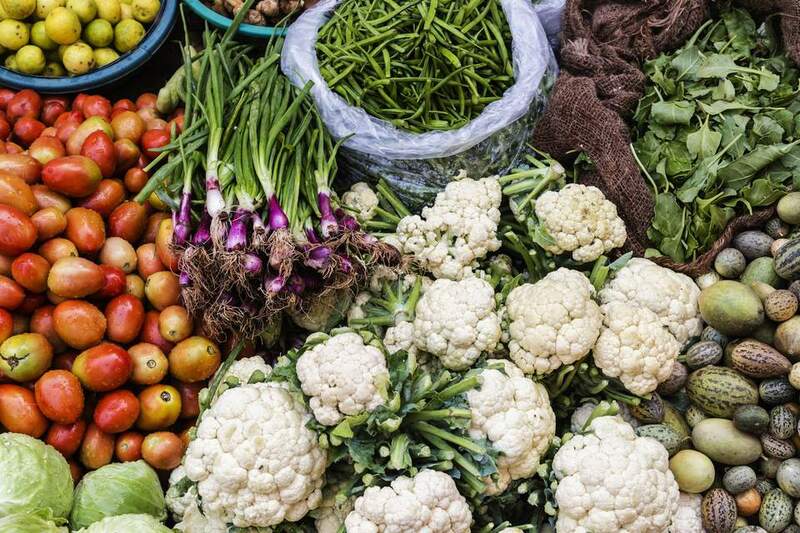 A member of the Brassica Oleracea family, along with broccoli and Brussels sprouts, cauliflower is another one of those vegetables that have had a resurgence. It has gone from white, watery mush to an elegant side dish—again, putting that oven to good use. When roasted, cauliflower takes on a whole new persona—creamy on the inside, a little crispy on the outside, and a sweet nuttiness that can't be matched. In addition to being the star in a number of tasty side dish recipes, cauliflower has also become the vegetable-of-choice when trying to add nutrition to some usually empty-calorie favorites like pizza and rice dishes. Replace the white-flour with a cauliflower crust in your family's pizza recipe, or swap out cauliflower rice for regular next time you plan a rice side dish—not only healthy but gluten-free! This family of somewhat bitter, hearty lettuces that come in a range of beautiful colors has begun to replace traditional greens on restaurant plates. Varieties include radicchio, Belgian endive, and escarole, which we may be familiar with, as well as more unusual varieties like Castelfranco and Tardivo. Chicory is sturdy lettuce, ready to withstand cooking techniques not usually employed with a leafy vegetable, such as grilling and braising. These lettuces also benefit from plenty of fat, acid, and salt, allowing for recipes that go beyond the simple salad. Although we may think of November and Thanksgiving when it comes to cranberries, October is actually the month that this fruit is at its best. Cranberries at their peak should be firm and bright red—pale pink means they are underripe. (A few of these may sneak into a package of fresh, but that's normal.) The flavor is a combination of sweet and tart, perfect for a cranberry sauce such as citrus cranberry amaretto sauce and cranberry and orange sauce over chicken. Often associated with Middle Eastern cuisine, dates are somewhat of a superfood that is harvested in the fall. Dates are a great source of fiber and potassium and are naturally low in fat. Not just for dessert, this dark, soft fruit is also wonderful in stews, stuffed with nuts, and of course, is an ingredient in devils on horseback (dates wrapped in bacon) as well as other recipes. Figs can grow in both warmer climates (where they are harvested in the spring and summer) as well as cool, coastal areas (where they are harvested in the fall). Their reputation as a filling for a soft cookie has somewhat diminished over the years as the fruit has come into its own with delicious recipes for salads, toasts, and tarts. A simple drizzle of honey may be all you need to enjoy this luscious fruit. Fall is the season for harvesting grapes for many winemakers, so naturally, that is when this candy-like fruit is at its prime. October is the perfect month to try varieties from the farmers market, and perhaps—if you don't eat the whole bunch on the way home—pop them in the oven for a good roast. The skin may become wrinkled, but the sweetness intensifies and the texture softens. They are delicious on a cheese-covered crostini. Leeks can be categorized as summer and winter—the winter harvest begins in October and produces a larger, stronger flavored vegetable than the warmer month version. They can keep for up to two weeks in the refrigerator and will even do well frozen. The main ingredient in leek and potato soup, this elongated green and white stalk is also tasty as part of a vinaigrette or simply braised and enjoyed as a side dish, in addition to other recipes. Typically a southern vegetable, okra falls into that category of "you either love it or hate it." The dislike is often due to the "slime factor," the texture that appears after the vegetable is cooked. There are ways of avoiding this, however, and it can be well worth it, to make dishes like grilled and fried okra, as well as okra pickles. Browse our favorite slime-free okra recipes. It may look like a carrot's very pale cousin, but a parsnip is much sweeter and more versatile than the familiar orange vegetable. Yes, it is often part of the "soup vegetables" mix sold at the grocery store for homemade stock, but parsnips can be so much more. They are a treat when roasted, braised, pureed, even crisped up as a French fry. Always thought of as a fall fruit, this cousin of the apple is delicious paired with both sweet and savory flavors. Poached and served as dessert, slow cooked into a butter, cooked down into a jam, or even as part of a cocktail, the pear is always a welcome ingredient. September and October are when this vegetable really shows its colors. So versatile, peppers can spice up (or not) a variety of dishes. From mild, sweet peppers to fire-breathing hot peppers, this vegetable can go from grill to skillet to oven, adding zest to pizza, pasta, sauces, and salads. Eaten raw, roasted, or stuffed, peppers are a must in the cook's fridge. If Halloween weren't enough to prove pumpkin and October go together, then the fact that everything becomes "pumpkin spice" should be a sign! Pumpkin just seems to say fall—its orange color, the way it marries so nicely with warm spices, and the fact that as a pie filling it takes center stage on the Thanksgiving dessert table. Once roasted in the oven or pureed in the food processor, pumpkin can become part of both sweet and savory dishes. Similar to apples and pears in that it is a fall fruit and grows on a small tree, this somewhat rare fruit is unique, and not like any other fruit you may encounter. Its knobby, unattractive appearance and the fact that it can't be eaten raw may be a turnoff, but quince will reward you with its alluring scent and floral flavors once it's cooked. Harvested summer to early fall, this member of the onion family is a nice change from using onions and garlic in your recipes. Shallots have a sweeter flavor than onion and are less bitter than garlic, adding a lovely mellowness to certain dishes. You will find them among ingredient lists in French cuisine and are incorporated into vinaigrettes and butters and crisped up to put on top of a steak. With the highest production from April to June and October to December, star fruit should be easy to come by. This yellow, waxy fruit takes on the shape of a star when cut across the middle, giving this tropical fruit its name. There are two varieties—one is very sour and one is deliciously sweet—so it's important to know which one you have before you take a bite (the entire star fruit is edible). Another vegetable that is easily associated with fall, the sweet potato has gained tremendous popularity over the years for its nutritional value over white potatoes. Not just for marshmallow casserole, sweet potatoes can be roasted into "fries," turned into healthy "sliders," and even incorporated into pancakes. See some of our favorite sweet potato recipes here. Also called rutabaga, the turnip looks like an oversized radish that has lost some of its color. This root vegetable is readily available in the fall and can be used from top to bottom (leaves and all). They turn tender and take on a buttery flavor when roasted, and the greens can be sauteed or used in a soup. Turnip is also wonderful when mashed or roasted along with other root vegetables. Both a spring and fall leafy green, this dainty looking plant brings a peppery kick to any dish (although the spice does mellow when cooked). You may think of old-fashioned watercress tea sandwiches when you hear its name, but watercress can be far more interesting—as the basis to a pesto, one of the toppings to a pizza, the greens in a soup, and of course the star of a salad. Contrary to its name, summer and fall are the harvest times for winter squash, which include butternut, acorn, turban, and spaghetti squash to name a few. With the exception of spaghetti squash, most varieties can be substituted for each other in recipes and benefit from roasting, pureeing, and steaming. As the main ingredient in a pasta dish, combined with other vegetables for a healthy roasted side dish, or as a nutritious substitution for noodles in a recipe, winter squash can go a long way during the autumn and the cold months to follow. What Is in Season in Alberta, Canada? What's in Season in December?